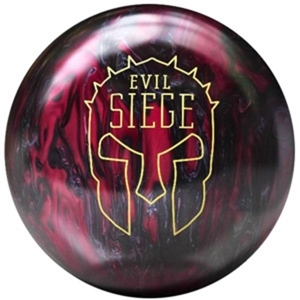 The Evil Siege is the second in our new series of Pro Performance balls and features the new MACE asymmetrical core as well as the new solid Propel Pearl coverstock. 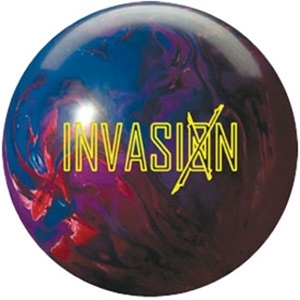 This is a strong ball that battles medium to heavy oil and responds quickly to friction for great pin action. M.A.C.E. " Mechanical Asymmetric Core Engineering. The MACE™ core has three major benefits, Ultra Low RG core system to engage the Propel coverstock, High RG differential to aid in traction through heavy oil and High RG asymmetric differential to quicken the response time to friction. Designed as a two component elliptical core system, the MACE core is dynamically the strongest asymmetric core ever produced for a Brunswick ball. Introducing Propel Pearl™ coverstock the next extension in Brunswick coverstock technology. Propel Pearl is a revolutionary coverstock developed by Brunswick to improve the mid-lane and backend traction of the ball on today’s slicker oils and lane surfaces. The Propel Pearl coverstock was discovered through testing of new formulation additives and process changes in coverstock manufacturing. The Evil Siege™ unites the new Propel Pearl coverstock and the MACE core to produce a ball motion that is both strong in the midlane and aggressive on the backend. 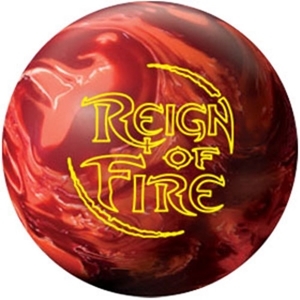 The Siege is your ball when your game needs help battling medium to oily conditions and poor pin action. Seize the lanes, Conquer the pins, Defeat your opponent!! It’s getting ready to Reign! No, not that rain, but the type where you dominate your competition. That’s right, the Storm Reign of Fire! The key to the Storm Reign of Fire is the utilization of the R2S™ solid reactive coverstock. From its inception, it has proven to be one of the most versatile coverstocks ever manufactured. With its strong surface profile and excellent friction characteristics it was the obvious choice for this latest release. The fuel for the Fire so to speak is the C.A.M. ™ (Continuous Axis Migration) weight block. The combination of the unique contours along the weight block with the strategically placed weighted mass blocks deliver optimum mid-lane roll with volatile backend reaction. Are you ready? It’s getting ready to invade your opponents psyche… the game will never be the same. The new Storm Invasion is set to be released to the world on January 27, 2010.